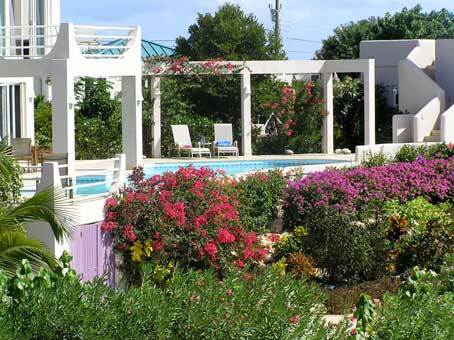 The garden is lush with gardenias, bougainvillas, Norfolk pines, oleanders, palm trees, cedar trees, alamanders, Maho Hibiscus in addition to the exquisite local flora. Enjoy a relaxing day under Anguilla's beautiful blue skies as you sit by the pool overlooking the villa's gardens and the shimmering sea. 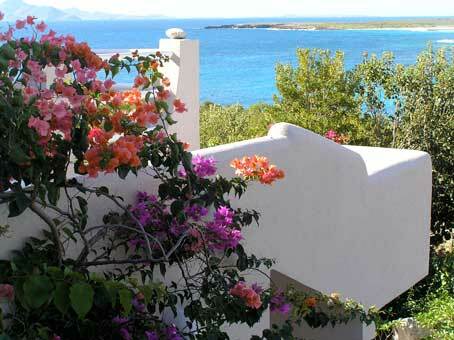 Bougainvillas wrap around the stairs to Bedroom 5, "the apartment." 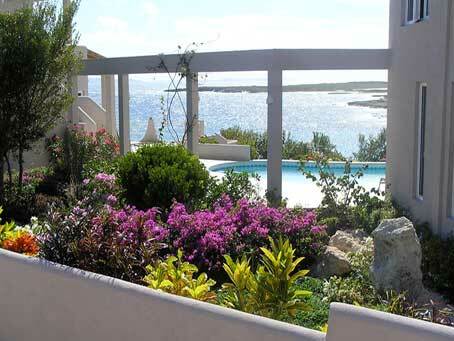 View of the gardens, the pools, the caves and the tip of Sandy Hill Beach from the back of the house. 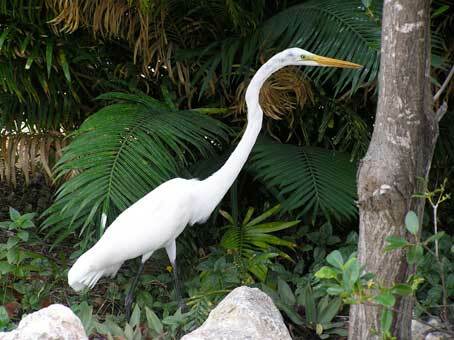 An egret visits Villa Gardenia.